A young Irish prisoner punched the air and wept with relief at a prison courthouse near Cairo on Monday, as a judge acquitted him on all charges relating to a 2013 political protest that turned violent. The acquittal brought a likely conclusion to a four-year jail ordeal that turned the Irishman, Ibrahim Halawa, 21, into one of the most prominent foreigners trapped in Egypt’s harsh judicial system. 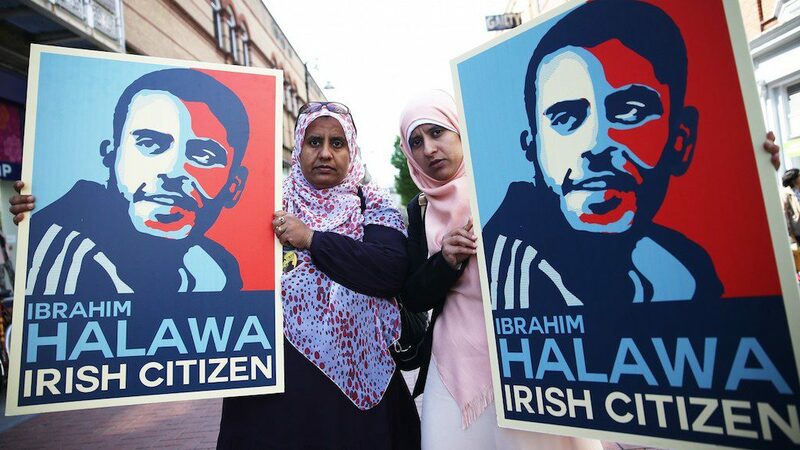 Mr. Halawa’s plight drew broad public sympathy in Ireland and sharp criticism from human rights groups that described his trial, along with that of at least 480 other people, as a travesty, not least because Mr. Halawa was 17 when arrested. Mr Halawa was born in Ireland and grew up in Firhouse, a suburb of Dublin. His family would travel to Egypt regularly to see relatives and they were in Cairo on holiday in August 2013. A month earlier Egypt’s military had overthrown Mohammed Morsi, the country’s democratically-elected Muslim Brotherhood president, and thousands of people took to the streets against the coup. Three days after the massacre, Mr Halawa and his three sisters — Omaima, Fatima and Somaia — joined another protest but took shelter in a mosque when the situation became violent. All four were arrested when security forces stormed the mosque. Mr Halawa was just 17 when he was arrested. His sisters were released on bail three months after their arrests and quickly fled the country but Mr Halawa was held in prison. He was charged with murder, arson and illegal possession of weapons and put on trial alongside nearly 500 other people. His sisters were tried in absentia in the same court. In other words, some high-spirited Irish siblings were out for a lark when they just so happened to wander into a violent protest and had to “take shelter” in a handy mosque. That’s the way the media—including the Irish media—tells it, anyway. In fact, the Halawas are the children of Ireland’s most prominent Muslim cleric, sheikh Hussein Halawa of the Clonskeagh mosque in Dublin; according to reports, the imam is a member of the Muslim Brotherhood, although he denies it. In other words, the only thing “Irish” about the Halawas is an accident of birth. Today, however, Ireland is being consumed by the notion—heavily promoted by its mainstream media—that it’s “too white,” that what the Land of Saints and Scholars needs is more “immigration” from the non-Christian Third World, the better to reduce its whiteness and further weaken the influence of the Catholic Church. And what better way to promote that meme than to call an Egyptian Muslim an “Irishman”? This is what happens when nationality—especially the ethnic nationalities of the European nation-states—is confused with citizenship. The first is intrinsic: say the word “German” or “Swede” or “Italian” and we all have an image in our mind’s eye; it may be a “stereotype” of a fat man in lederhosen, or a blue-eyed Viking, or Marcello Mastroianni, but we know immediately what is meant. Or at least we used to. Thanks to the push of the cultural Marxists, whose affection for an international state based on socialist principles just happens to coincide with the Islamic world’s desire for a universal caliphate and a transnational ummah, we are now meant to accept a piece of paper issued by a transient government as a substitute for first principles of nationhood, which are familial ties, a common language, a common national epic, and a common faith. In other words, politics trumps origin—and the validity of origin is not only denied, but deemed “racist” to boot, especially when the minority groups in question can be made to seem victims instead of aliens. This is, quite intentionally, a parody of the American Experiment, which has successfully (albeit not without conflict at times) welcomed and integrated peoples from many lands and cultures via what used to be called the melting pot. That the vast majority of those people were from European countries for the first two centuries of our existence was hardly remarkable, given this nation’s English colonial origins. But what’s easily forgotten now is that a Pole, a Greek or an Irishman was once considered very definitely foreign, and even as members of different “races.” That they eventually all became recognizably American is a tribute to our founding ideals and the immigrants’ desire to transform themselves. 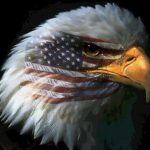 As usual, however, the Marxist Left has decided to use our virtues as weapons against us; after all, who could possibly object to the extension of American ideals across the globe? Isn’t that what conservatives have always preached? 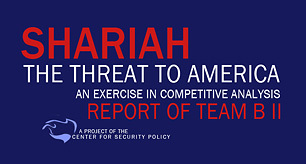 That inside every Arab and Indonesian there’s a Jeffersonian Democrat screaming to get out? Wasn’t that the rationale behind Bush’s Iraq War? So what’s your problem? It’s an article of faith on the Left, especially since the 1965 Immigration and Nationality Act, which was itself an outgrowth of the American civil rights movement, that the protections and rights of the U.S. Constitution are applicable to everyone, that residency in America is open to all, and that “Americans”—after all, we’re all immigrants here!—have no moral or even legal grounds to object. Since 9/11, when we were attacked by the most culturally inimical force on the planet, Islam, the Hart-Celler Act (championed by an Irish-American, Edward Moore Kennedy) has become one of the Left’s foremost weapons against the country-as-founded, and against Western civilization in general. Merkel’s Folly has ensured, left unchecked and unreversed, European cities such as Paris and Berlin will become alien places, unrecognizable to the natives. As you can see, a handful of countries — Iraq, Indonesia and Somalia — experienced a doubling of the rate of green cards being issued. A number of other countries had big gains, but some key Middle Eastern countries (Jordan, Lebanon and Syria) actually saw declines. The two biggest sources of immigrants — Pakistan and Iran — actually had gains that lagged the general immigrant population. Overall, these Muslim-majority countries had an average increase in green card recipients of 55 percent, compared with 30 percent for all countries. That’s an increase, but it’s not a doubling of the rate. Close enough for government work, as the saying goes. Former president Barack Hussein Obama went out of his way to posit a fictive Muslim influence on the American Founders (as the Left denigrates their shared, if sometimes unorthodox, 18th-century Protestant Christianity as “Deism”), but I cannot recall a single meaningful reference in our national dialogue to “Ramadan,” “Muslim-Americans” or “Islam” prior to the sneak attack on New York and Washington in 2001. But that’s the brave new world the Left wants us to accept: a world in which any Arab can be an Irishman, if only he has the piece of paper to prove it. Somewhere in Irish prehistory, Fionn mac Cumhaill and Cú Chulainn weep. And until the West stands up unapologetically for its history and accomplishments, and refuses to accept the cultural Marxist “racism” argument as a reason for civilizational suicide, things will only get worse.